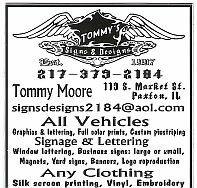 Paxton,Il Business Directory, We hope to have all Our Local Shops, Stores, and Businesses listed very soon. Would you like yours listed? Click here for details.